3. 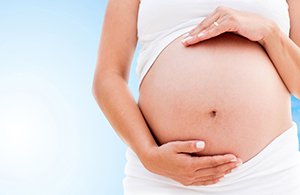 Prenatal exams every 4 weeks from commencement of care until 28 weeks gestation. 6. Routine laboratory screenings and referrals for ultrasounds (Fees not included in birth package, but may be covered by insurance. Cash price available for those without insurance). 11. 1st Post-partum visit at home in 24-36 hours post-partum- repeat newborn exam (first newborn metabolic screening) and examination of mother. 12. 2nd Post-partum exam for mother and baby 1 week after delivery at my office. Repeat newborn metabolic screening. 13. 3rd Post-partum exam for mother and baby 3-4 weeks after delivery at my office. 14. 4th Post-partum exam for mother and baby 6 weeks after delivery at my office. Could You Be Too High or Low in This Very Important Hormone? Many Are!